If youfre particularly sensitive to caffeine, hojicha should be your pick out of all the green tea variants available. It differs from sencha and matcha in that it is roasted after being harvested, rather than steamed. This roasting process lowers the amount of caffeine present in the tea. Because of this, hojicha is a suitable for children and the elderly, or as a comforting drink before bedtime. Hojicha – which has its roots in the 1920s when tea merchants began roasting leaves over charcoal – is usually made from bancha, or tea from the last harvest of the season. 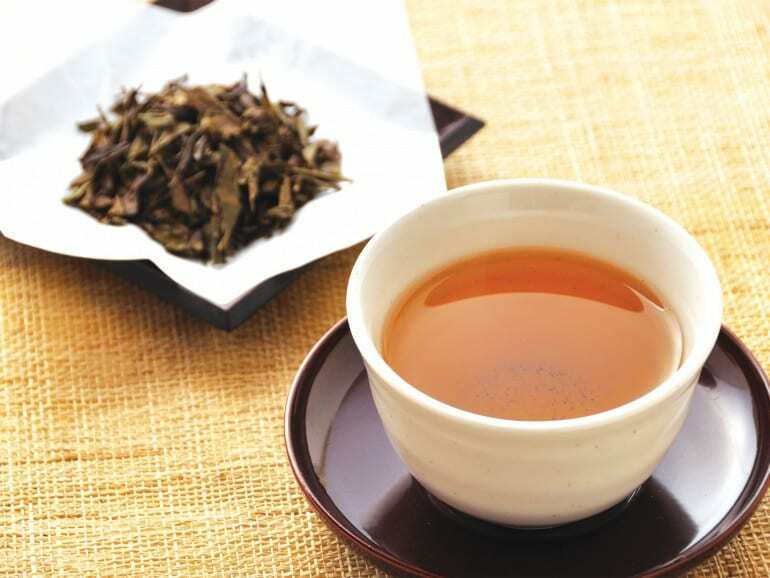 When brewed, hojicha infusions have a light to reddish brown appearance. Because it is roasted, much of the grassy flavour of the tea disappears and is instead replaced with a toasted, nutty, caramel-like flavour. To allow the bold flavour of the hojicha to emerge, youfre recommended to brew it using boiling water (as compared to other varieties of green tea that call for lower temperatures of about 80 degrees Celsius). As hojicha is a lot less bitter than matcha and sencha, it makes a great accompaniment to a wide variety of food.